Inspired by my friend Jay Billy today. When you are having trouble wrapping your head around the big picture. When you feel like you are not doing the work you need to do. When you feel frustration setting in. Immerse yourself in the kids. Think back to why you do the work in the first place. Keep going. Keep on. 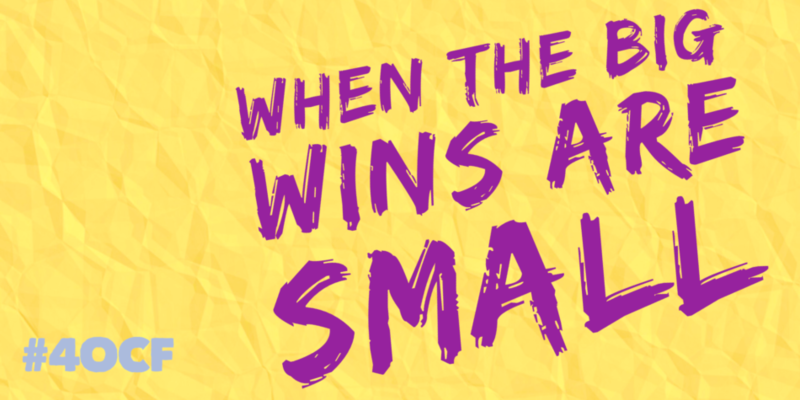 Even when the big wins are small.